Roll your dice in style with this new addition to the Blue Panther dice accessory line. 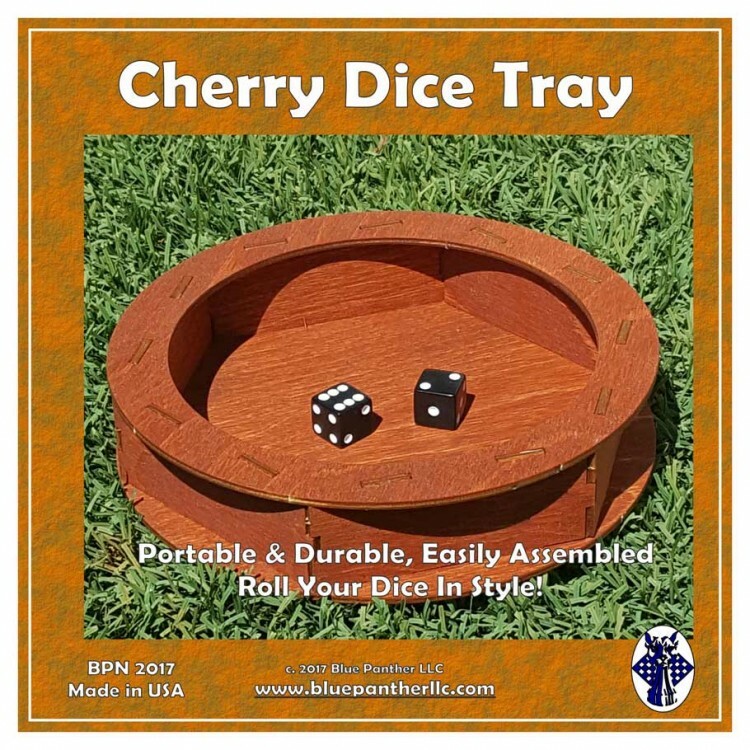 Made of sturdy birch plywood and finished in a rich cherry color, this dice tray will keep your dice under control and make your game look good doing it! Light, portable and durable. Assembles in seconds with or without glue.